Hello! I am S. Ahmad Ali working as Professor & Head, Department of Mathematics & Dean, School of Appplied Sciences Babu Banarasi Das University, Lucknow. 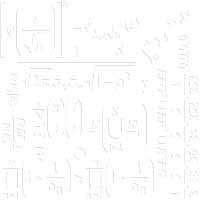 My areas of interest are Special Functions, q-Series, Ramanujan's Mock Theta Functions, Distribution Theory, Integral Transforms and Fractional Calculus. I am a Fellow of the Institute of Mathematics & its Applications (U.K.). Here is my CV that contains a complete list of my Research Papers. I am Assistance Secretary of the Society for Special Functions and their Applications. Presently, I am also the Council Member of the Indian Mathematical Society. Here is my Link Page (I call it MATLINK ! ), I have put a lot of useful links on this page.